Attention Hinckley owners… now hear this… Hinckley Yacht Services has sounded a call to any and all Hinckley’s to compete for the prestigious Hinckley Trophy along with a $2,500 credit towards service at any one of their eight locations. 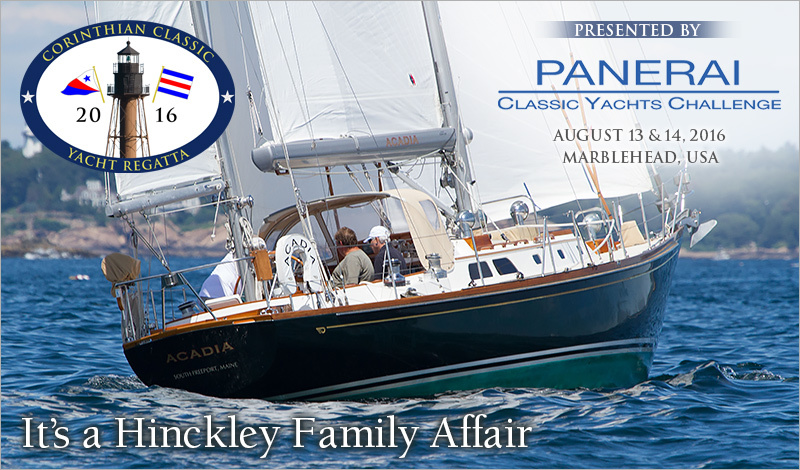 The Hinckley Trophy is awarded to the best overall performance by a Hinckley Yacht in the Corinthian Classic Yacht Regatta presented by Officine Panerai (www.panerai.com) August 13th & 14th. Come and “sail” against Pilot’s, B-40’s, 41’s, Competition 41’s and SW 48’s. We use a “Pursuit” format - unique, safe, and fun. You don’t need a crack crew or a high tech inventory to have one of the best sailing experiences you’ll have all summer!